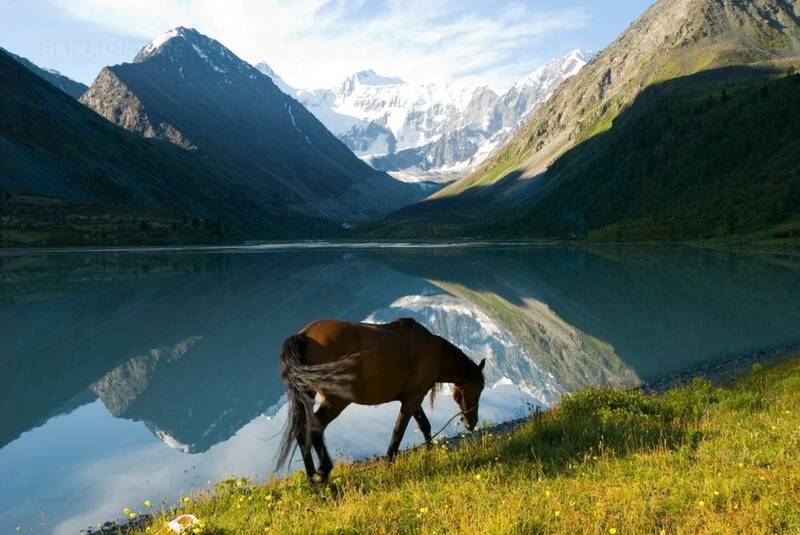 This journey of 8 days gives you a unique chance to discover the Altai in its natural magnificence. 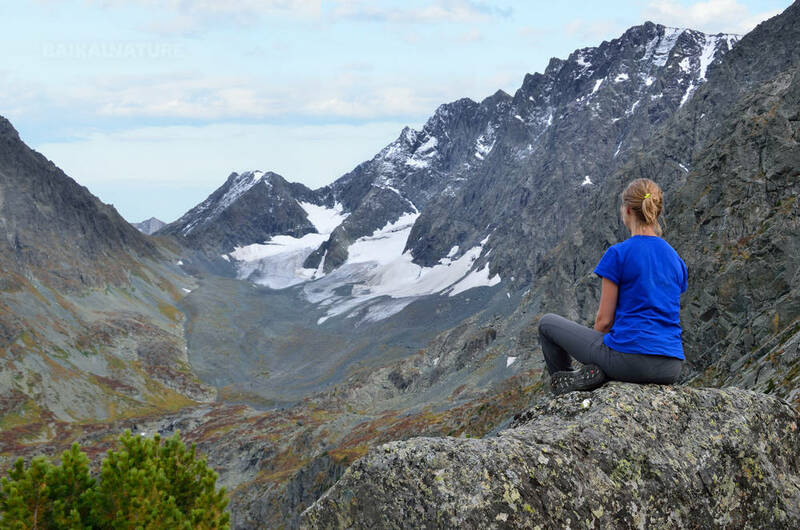 Including the most famous and characteristic places of the region, our program will lead you into strong and contradictory feelings by passing the river bank of Aktru, frosty and tempestuous, to the ascent of the snowy summits where streams are forming glittering waterfalls. 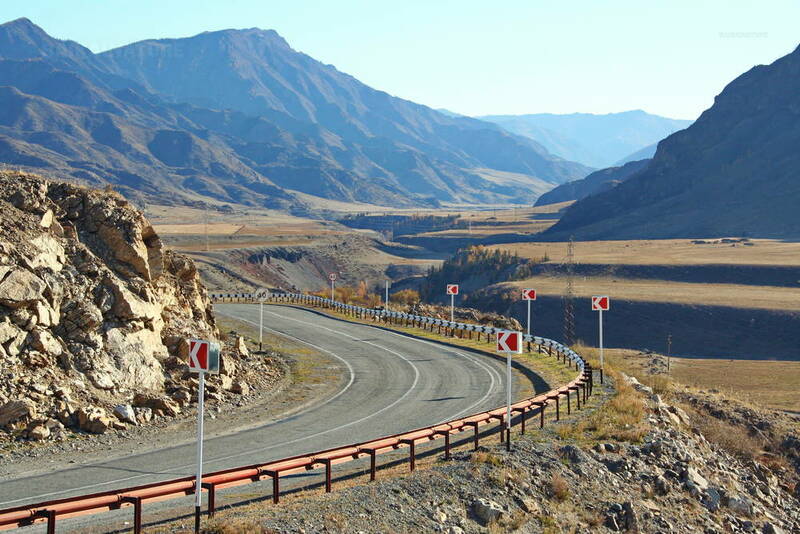 Meeting the local population with their legends, traditions and customs you will cross the impressive valley of the river Tchulychmane via the legendary road of Chuya, connecting Russia and Mongolia, along which you will observe rupestral engravings and mortuary buildings. The lake Teletskoye will also be a major step of this incredible trip. The transport envisaged for trip it is a Russian vehicle any ground (GAZ, UAZ, KAMAZ, URAL) equipped for safety transfer. Transfer to the village of Barangol where you will set off towards the Chuya River. 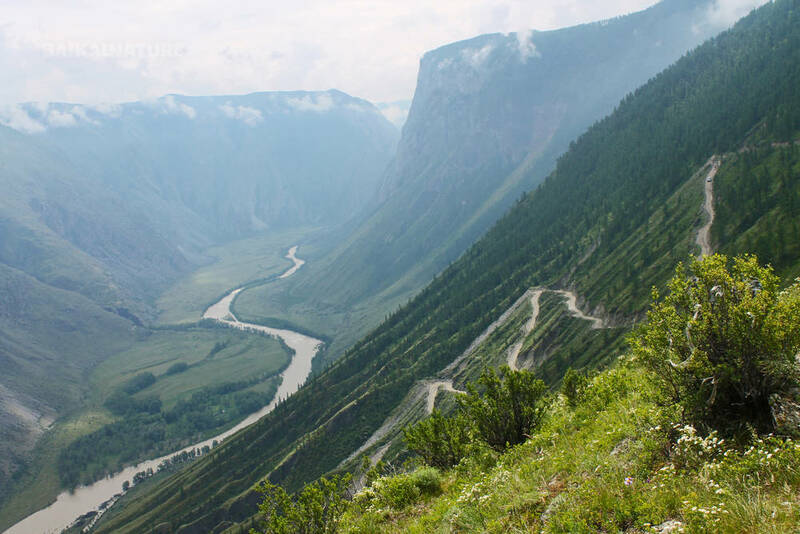 You will pass by the famous road of Chuya and cross Seminsky and Tchike-Taman, two mountain passes , from where you will enjoy a very nice panorama of the Altai chain. As soon as we get reach the village we will ride some kilometers by the off-road. We’ll walk along the Aktru river to the Alpine camp "Aktru". The Alpine camp "Aktru" is almost located at 3000 meters height, on the top of this River gorge, this place is under snow throughout the year and attracts tourists from all over the world. Breakfast. Beautiful walks are waiting for you today. Following the river Aktru road, you will observe curly rocks before going up to the Big Aktru Glacier and finally discover the Light blue lake (on 2900 m). 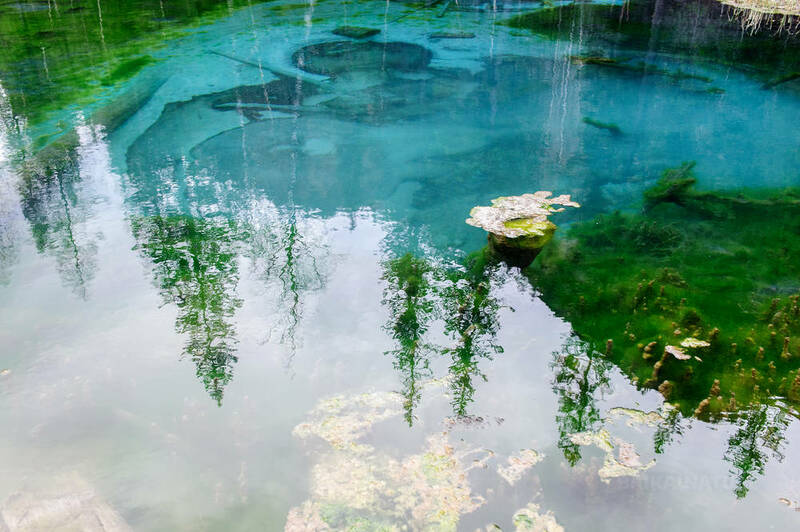 Despite its turquoise water, the lake is called Blue and its temperature not exceed 2 °C. Will you dare taking a bath? You will take the road of Chuya. Passing the village Aktash it turns left and goes across the Red Doors and alpine meadows towards the Dead Lakes. This place is very similar to the Alpine Switzerland. There are lakes and Alpine meadows that really that boggle your imagination. This day will be devotted to an impressive trip towards the Chulyshman River valley. You will observe the continental sacred shelf sheltering the Scythian tumulus of Pazyryk that indicate the graves of nomadic noblemen dating back to the VI-VII centuries. Today you’ll pass on foot the Katu-Yaryk passage. 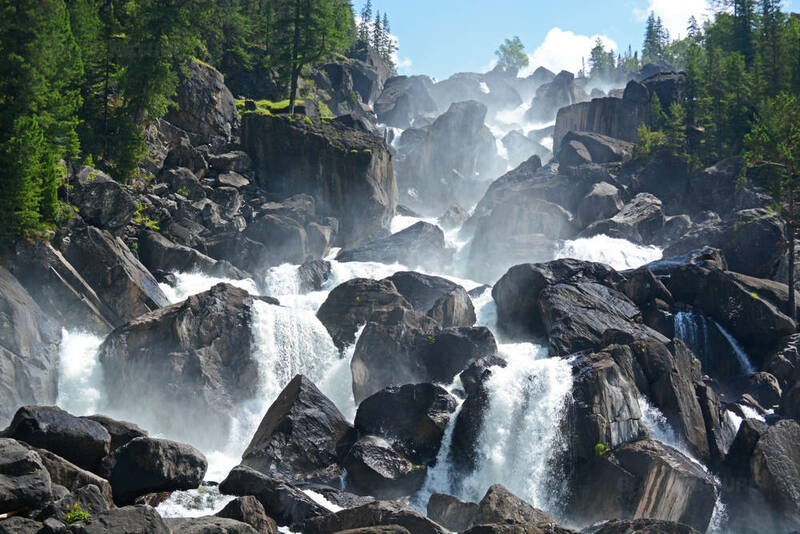 Excursion to the Uchar waterfall 160 meters high, the highest cascade of the Altai Krai. The roar of the water can be heard long before getting to the waterfall and near the cascade, it becomes so loud that anyone screaming can be heard. 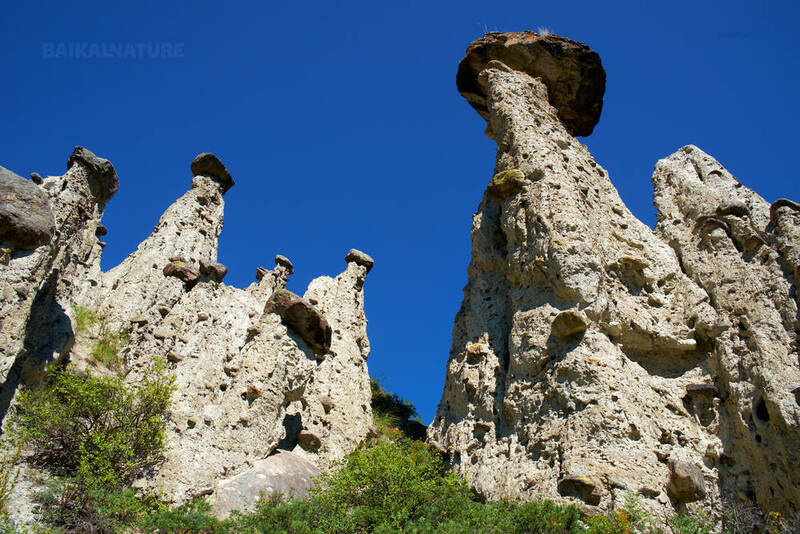 Visit the Stone mushrooms, rock-formations created by erosion, wind and rain throughout the last millenniums. Accommodation in tents. Possibility to get the Russian banya (not included, to pay on site). 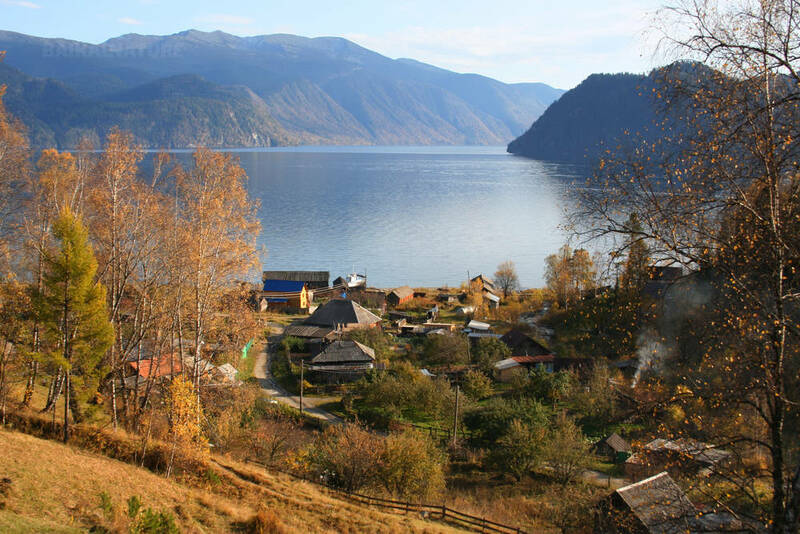 Today a boat trip is planned on the lake Teletskoye, one of the Gorno-Altai mysteries is called "Golden Lake" by the natives. The biggest lake of Gorno-Altai and one of 25 the deepest lakes of the world it will be an essential step in your journey. The departure is guaranteed for the group from 6 person. It's possible to be accommodated in the wooden house (2-6 persons in the room) with a supplement - 9 200 roubles. I had one of my best holiday experience!